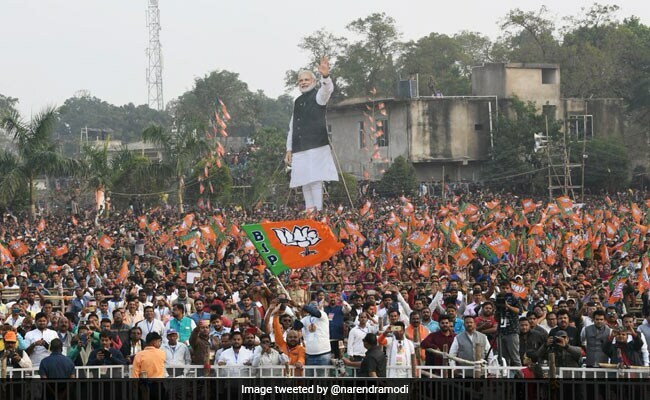 "I cannot understand whether Congress was running a government or the durbar of its own (Christian) Michel mama," PM Modi said at a BJP rally in Odisha. Prime Minister Narendra Modi today lambasted the Congress accusing it of "playing" with national security and working at the behest of middlemen in the defence sector instead of running a government for the people during the UPA rule. "I cannot understand whether Congress was running a government or the durbar of its own (Christian) Michel mama," PM Modi said at a BJP rally in the city, referring to the middleman in the AgustaWestland VVIP chopper scam, Christian Michel who has recently brought to India from Dubai. He was addressing the rally after unveiling a slew of projects worth over Rs 4,500 crore in different sectors including highways, railways, culture and passport services head of the general elections. 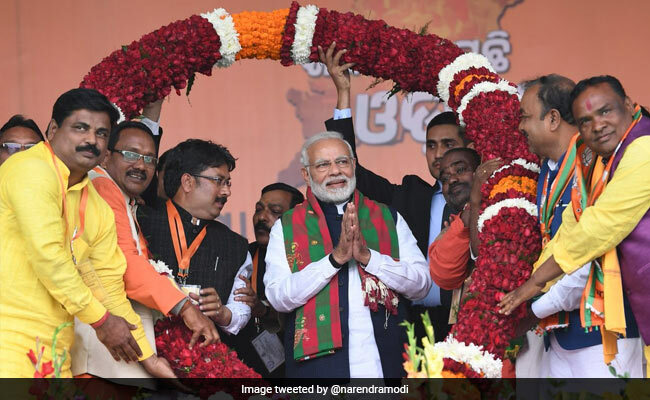 This was PM Modi's second visit in less than a fortnight to Odisha, where assembly elections are slated to be held along with Lok Sabha polls. Mounting a scathing attack on Congress, PM Modi alleged that there was a conspiracy to weaken the country's defence forces in 2004-2014 (the period of UPA rule) and the revelation of facts was now "paining" its leaders. "Therefore, they want to remove the chowkidar (watchman) from their path at any cost. Be it the society or factories, thieves always conspire to remove the chowkidar to make their task easy. As long as the chowkidar remains, they are unable to operate," PM Modi said apparently slamming Congress president Rahul Gandhi for his "chowkidar" barb at him. "This also pains them because their secrecy is now coming to the fore," PM Modi said adding there were reports that a letter of the middleman Michel had revealed that he had close ties with top Congress leaders and ministers. The middleman was aware of the movement of files in the PMO and even the details of deliberations of the Cabinet Committee on Defence. He was also passing on crucial information related to defence, security and weapons procurement abroad, the prime minister said. Stating that the BJP government at the Centre has always taken hard decisions for the country's security, he asked the crowd whether the Congress should be allowed to do what it was doing during the UPA rule. Hitting out at the Congress for raking up the Rafale deal, PM Modi praised Defence Minister Nirmala Sitharaman and said, "I congratulate the country's first woman defence minister for showing people the real face of those who deceive the country, those who compromise national security for politics and those who insult the sacred Parliament with their immaturity." Continuing with the stinging attack, PM Modi said, "The leader of the country's oldest political party (Rahul Gandhi) has accused me of dividing the people of India by chanting ''Bharat Mata ki Jai''. He cited the instance of the newly formed Congress government in Madhya Pradesh, which after coming to power in the recent election had discontinued the national song ''Vande Mataram'' triggering a storm. Listing the achievements of the government at the Centre, PM Modi said total immunisation of women and children, which had hitherto remained a distant dream has been fully achieved during the last four-and-a-half years. The government has taken concrete steps for empowerment of women, who are now doing "excellent work" in air force and navy.